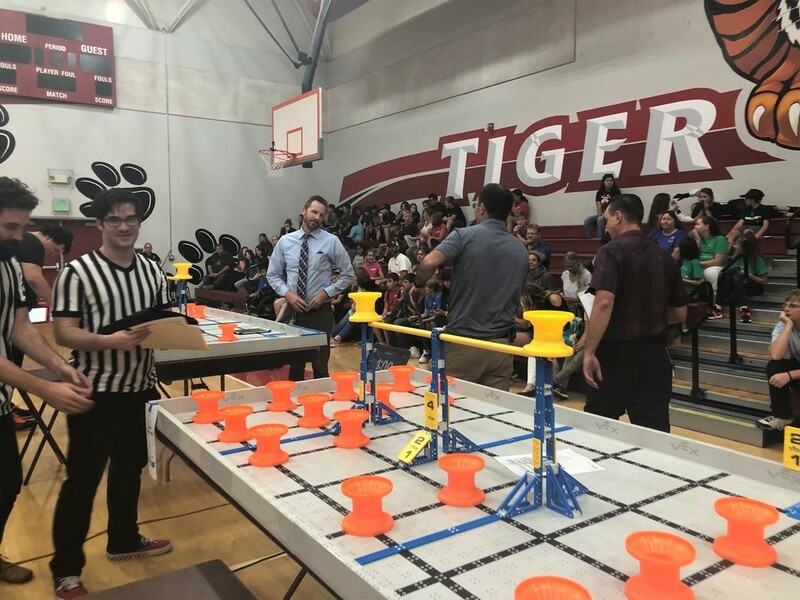 The second qualifying round of the VEX Robotics League season took place at Nelson Avenue Middle School on last Thursday, October 11th. 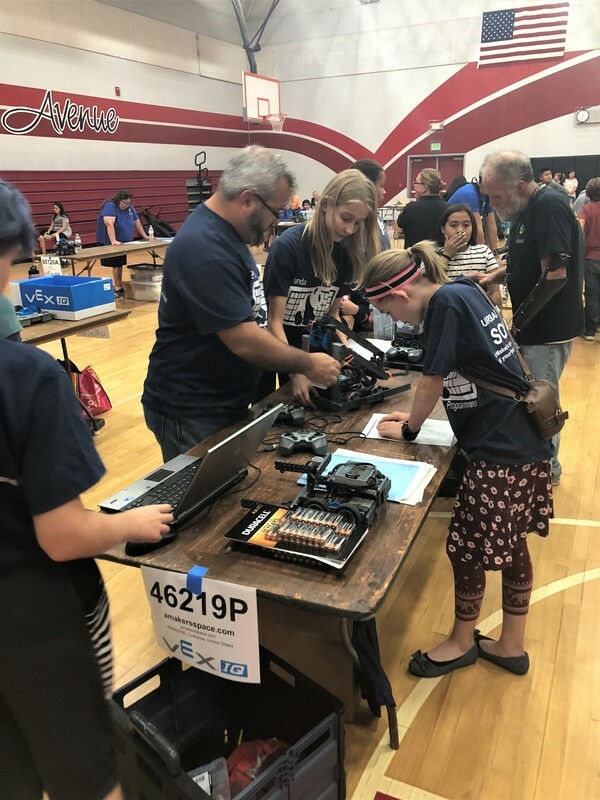 Thirty teams from around the county including teams representing Maker's Space, Sierra Cascade Girl Scouts, Boys and Girls Club, STREAM Charter, Hearthstone and Various BCOE after school programs competed at this event. Many of our local teams showed off their skills and placed highly in this round's competition. All students and parents were given the opportunity to buy snacks from the snack bar run by our own Butte County Office of Education employees and Butte Built Bots volunteers. Students who were there representing an after school program team were provided a pizza dinner compliments of the Expanded Learning Division. 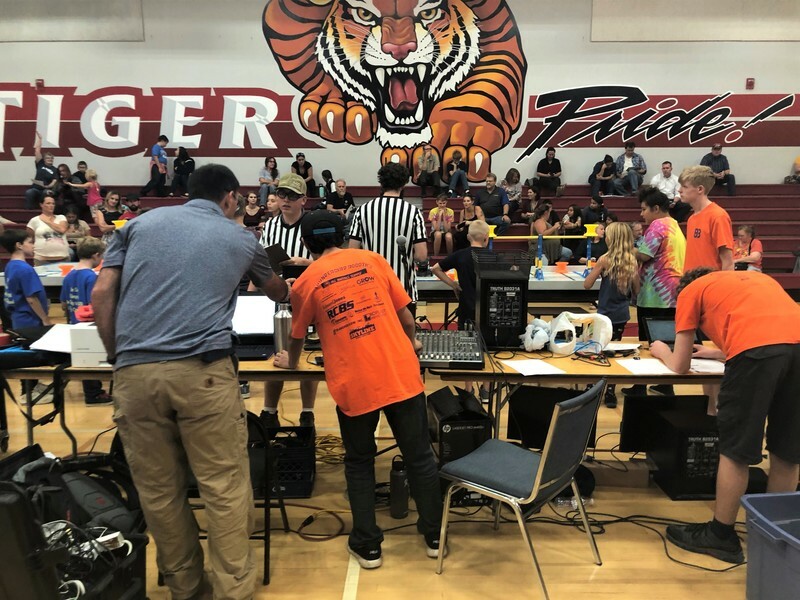 The event was hosted by Jon Andrew of Iron Cal with volunteers from Butte Built Bots running the tables. The judges for the event included Charlie Pooler, Chico State Grow Manufacturing, Jared Noble and All Metal Supply. The Qualifying Round 2 Results are posted here. The top three finishers in this competition were STREAM's Team 1, Biggs, and A Makers Space.